Neighbors in Phoenix are growing concerned about a possible arsonist. ABC15's Cameron Polom has the story. Phoenix fire says they are looking into a possible case of arson in a Maryvale neighborhood. The act alleged act was caught on camera. Bill, a Maryvale resident who wanted to keep his identity private, showed us surveillance video from Sunday morning. "I was gone yesterday, what if it would have happened yesterday and it burned my fence then came in and burned my house." "It was a little alarming lets put it that way," Bill said. 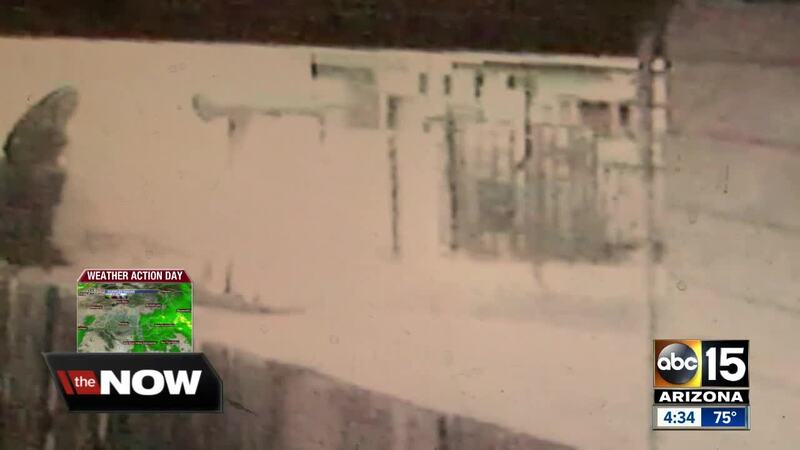 In the video, a man is seen placing a couch in an alley behind his home near 57th Avenue and Pierson; then moments later lights it on fire. As the flames grow, the man comes back and adds two couch cushions that began burning out of control. Bill says the flames reached nearly twenty feet in the air, warping a large trash barrel and setting nearby debris ablaze as well. He says the alley has become a dumping ground. Debris, dry grass, and other flammable items cover the area. "He was endangering everybody's house around here with the flames, the stuff going into the air and what it can land on," Bill said. A closer look at the video soon revealed something else about the early morning wake up call. "We found that it was actually a person in the neighborhood that did this," Bill said, who pointed out the suspect to law enforcement. Bill says he called the police and the fire department, who put out the blaze. At this point, Phoenix fire officials can only say they've seen the video and it is under investigation. Bill says that's not good enough. 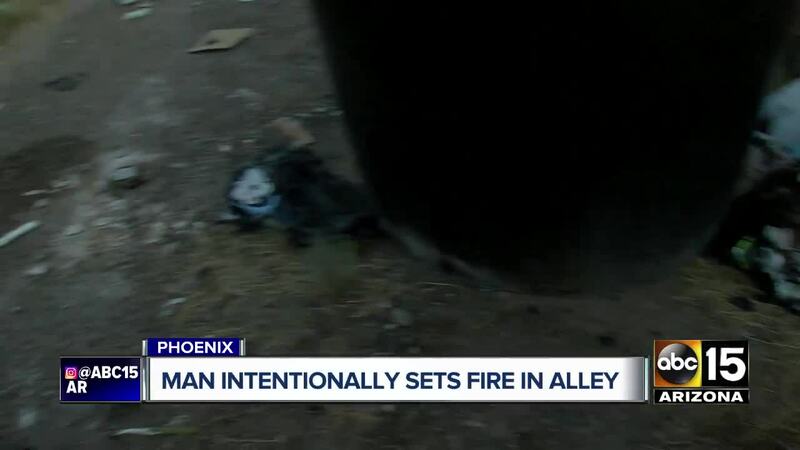 "The fire marshal and I believe the Phoenix Police Department went over to talk to the person and apparently he adamantly said he didn't do it," Bill said. A statement Bill says he isn't buying but one he'll have to live with for now. "Anybody who goes out and starts fires like this, there's a definition for them, it's called an arsonist," Bill said. Phoenix fire tells us they are taking this seriously and continue to investigate. But while that happens, Bill worries what the suspect may do next. "I don't want to be a victim, and I don't want anyone else in this neighborhood being a victim," Bill said.